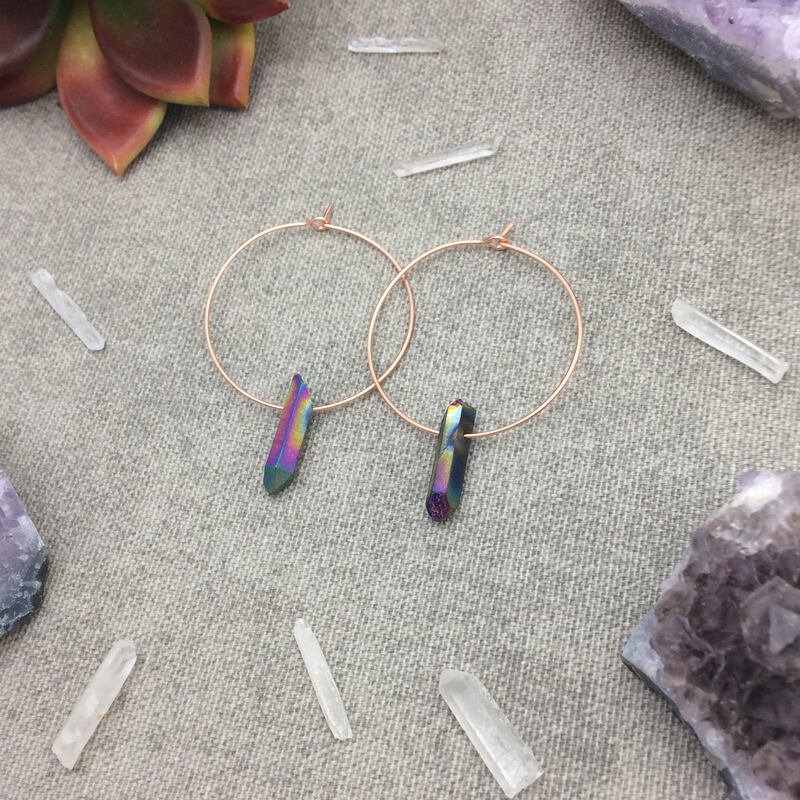 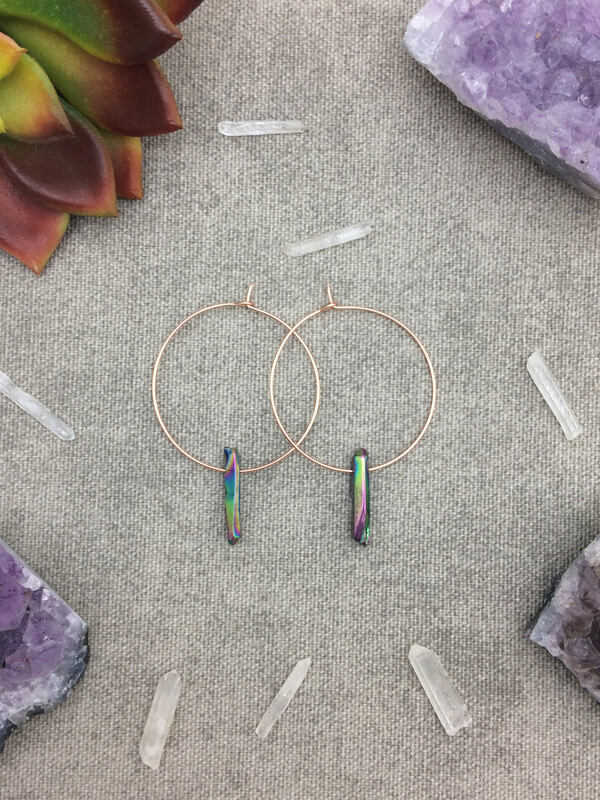 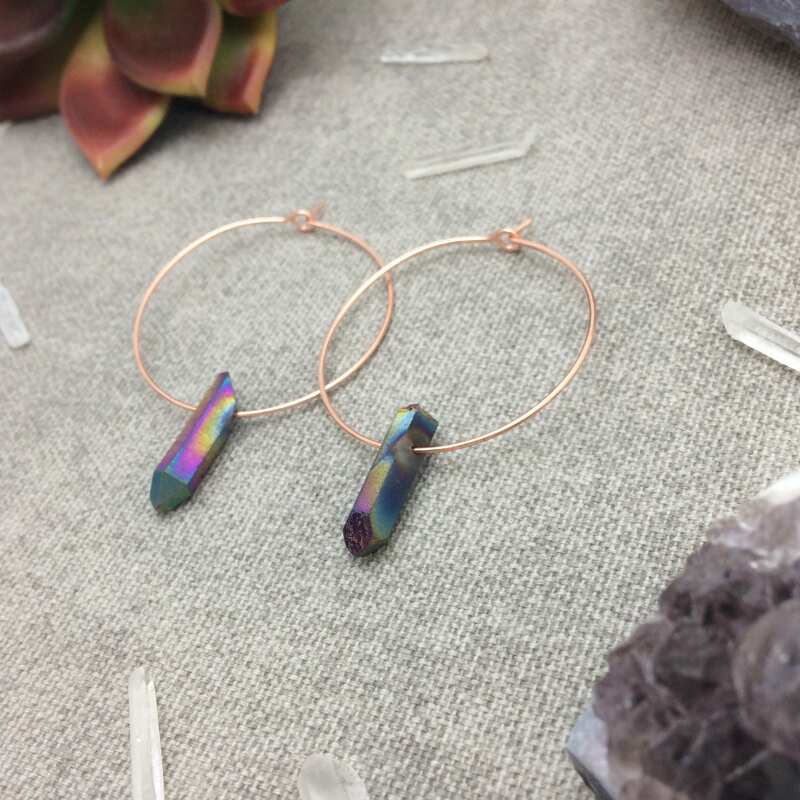 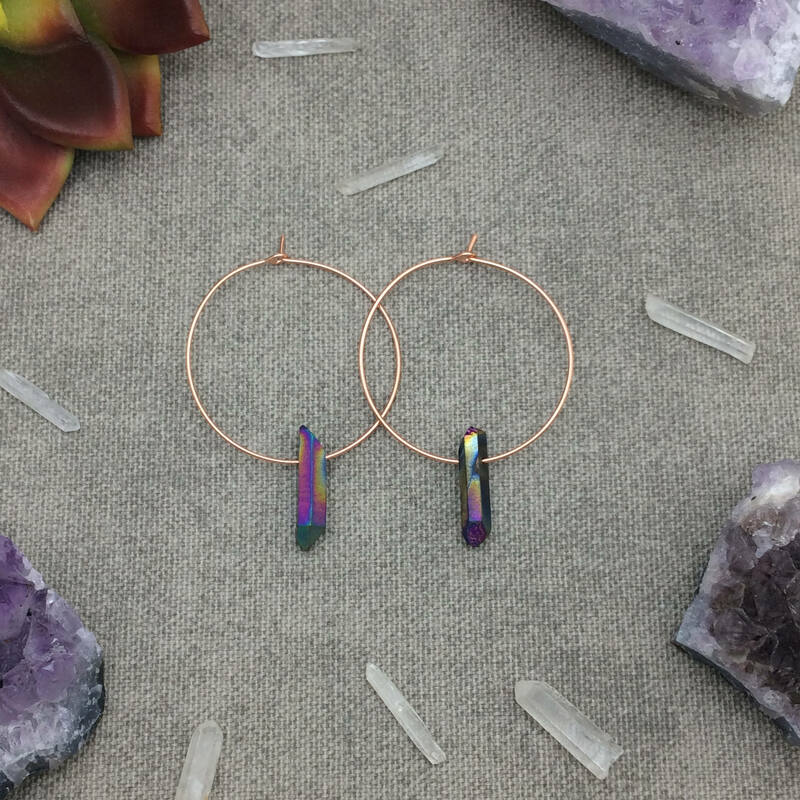 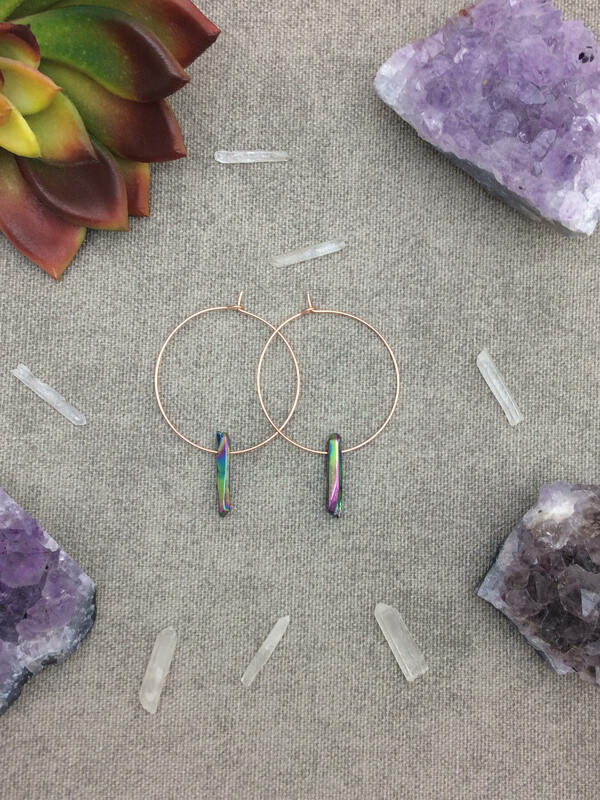 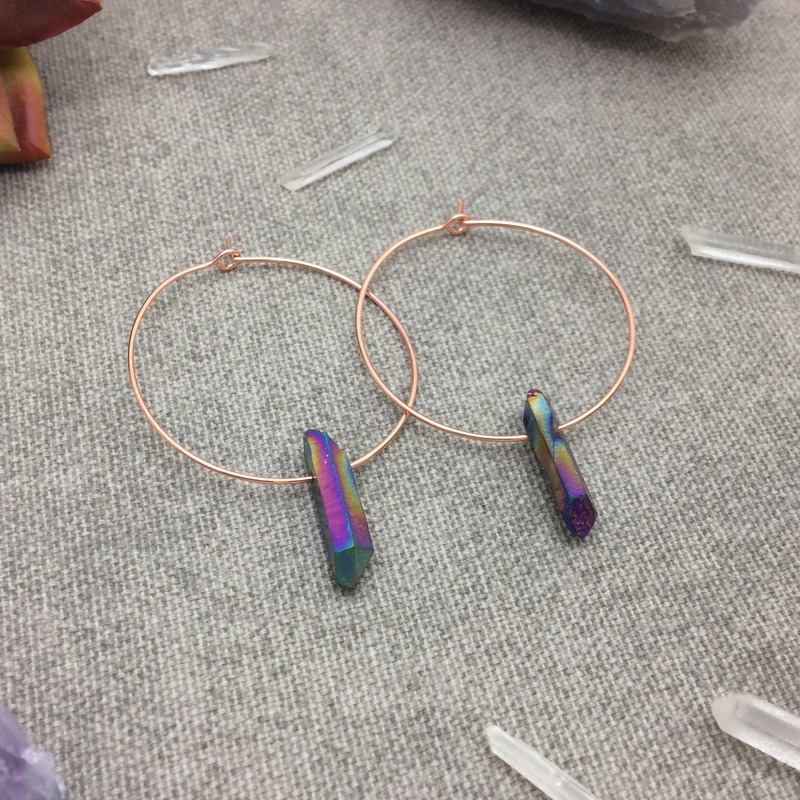 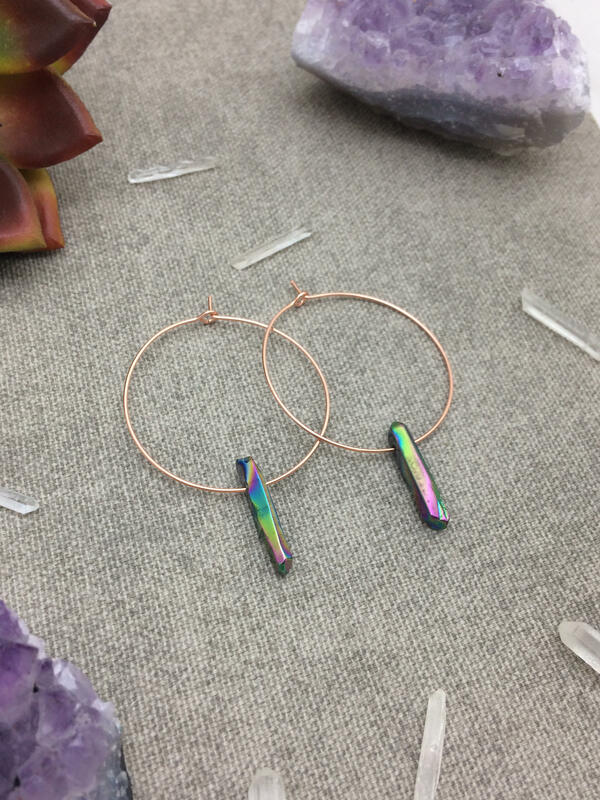 These beautiful quartz point hoop earrings are unique and awesome! 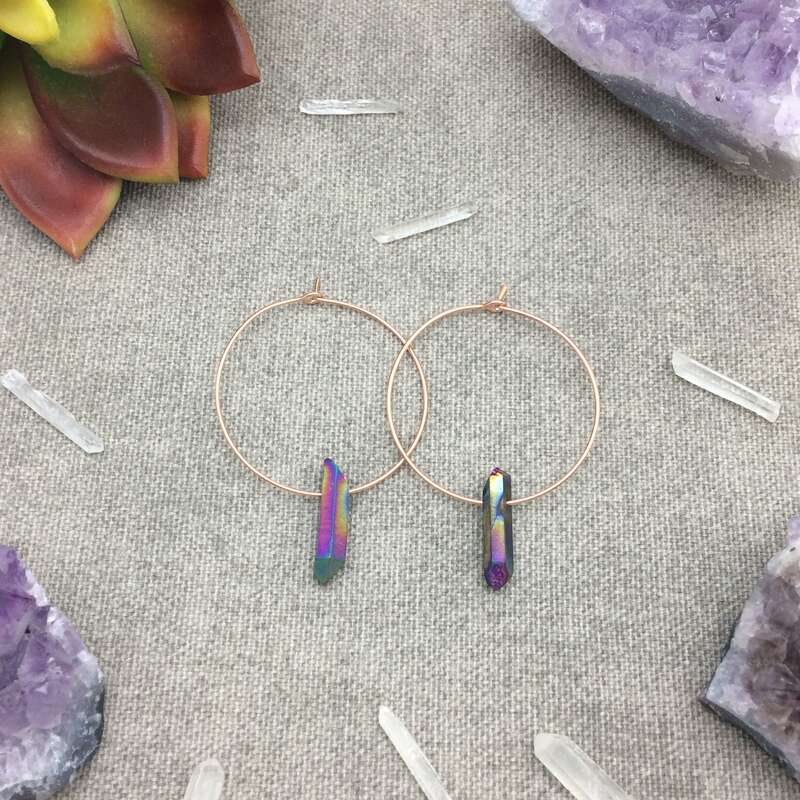 The quartz point beads have an iridescent rainbow titanium coating. 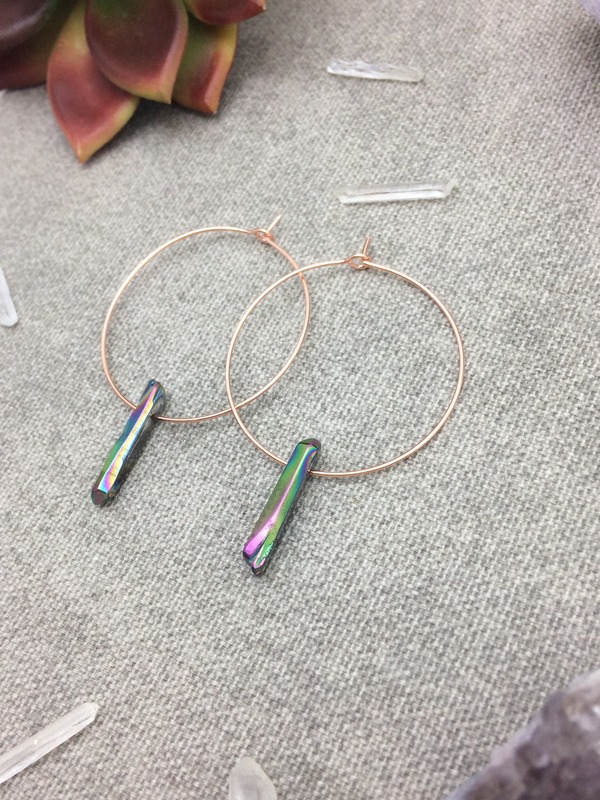 The hoops are handmade with your choice of metal.